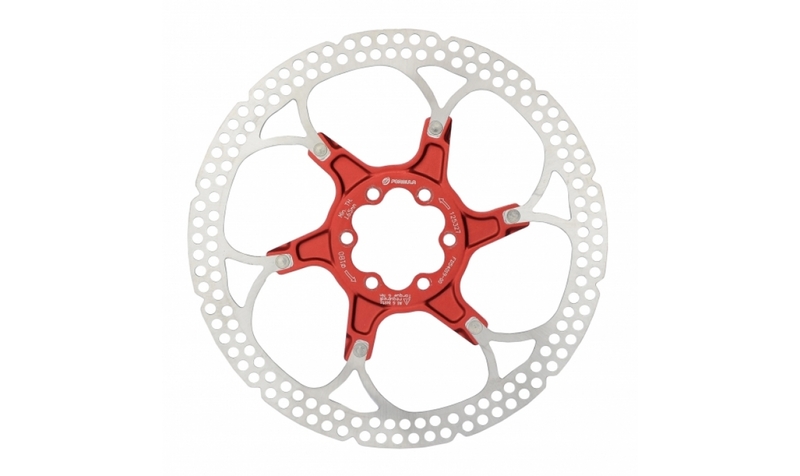 The FORMULA disc is a top-of-the-line disc with two pieces: a steel braking area and central aluminium carrier. 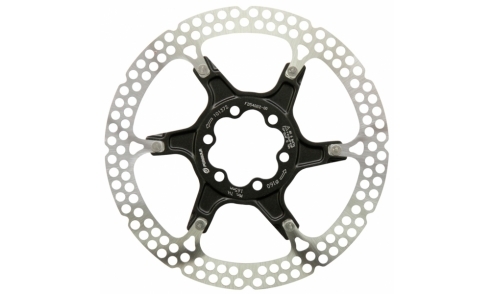 The value of the disc is that it is always placed in an ideal position to the brake pads. The disc ensures optimal cooling for a relatively competitive weight. The 2-piece construction (steel braking surface and aluminium carrier) ensures optimal cooling. The aluminium core acts as a heat sink. It pulls away heat from the calliper and increases performance by keeping the pads and the brake fluid cool. The aluminium carrier also increases lateral rigidity and allows for the expansion and contraction of the steel braking surface to be directed 90° from the hub. 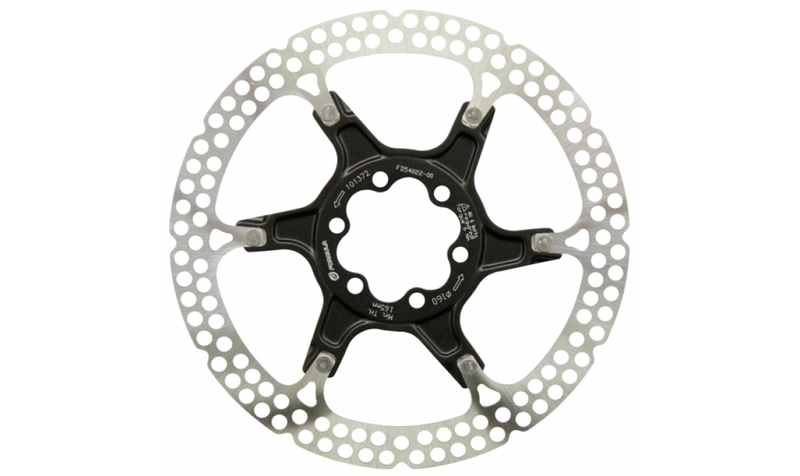 Compatible with all brands of brakes and brake pads (with use of an adaptor). Includes rotor bolts.